The stars have aligned and I’m going back to Singapore where my journey into natural living first started! I’m teaching an in-person workshop called “SIMPLIFY Skin – From Bali With Love”. It’s all about making 100% natural, safe and effective skincare – it’s such great fun and I’d love to see you there! I know that many of you are aspiring to live a more natural lifestyle, and that may seem hard to balance with a busy, urban life – but it doesn’t have to be. 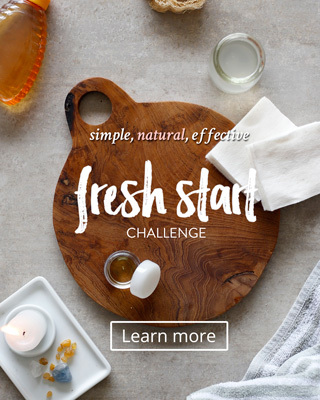 If you want to create a life that you love – with a routine of gorgeous natural skincare that makes you feel good with beautiful results – I’m here to show you how to make that happen! This workshop has a special place in my heart. I learned how to make natural skincare while living in Singapore – and it was life changing! Back then I was the kind of consumer who thought companies were responsible for my health. I had no idea what I was putting on my skin. I had cabinets full of clutter, my self-esteem was on the floor and I couldn’t walk past a Guardian pharmacy without buying something that promised to “fix” my skin. Commercial skincare is full of chemicals that simply do not belong on your skin – and the frustrating truth is that a lot of these products often do more harm than good. The creams that we buy to care for our skin, contain chemicals that contribute to allergies, irritations, break-outs, eczema, oily skin… it’s a toxic cycle. I switched to 100% all-natural by learning how to create my own skincare solutions. And this lifestyle not only cleared up my skin – but it cleared out the clutter and lifted my sense of self-worth. I mean it’s hard not to feel fabulous when you bathe in coconut milk and smell of roses everyday! Today I’m grateful to enjoy a rich life of natural skincare – because I’ve learned how to make it myself. And that’s what I want to show you. You have access to the very best products for your skin. Nature provides everything that you need to feed healthy, glowing skin. Forget about searching for the next perfect product. I’ll show you how to create your own three-step routine that you’re going love. I can’t wait for you to try it for yourself – I think it’s good enough to make you switch! We’re going to meet in a beautiful workspace, The Working Capitol. For $115 you get all the materials in class to make your skincare products (plus a few presents coming to you straight from Bali!) 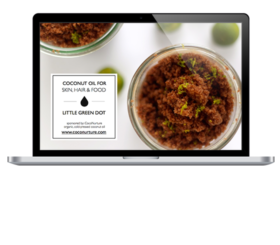 I’ll mentor you as you learn step-by-step how to create a natural beauty lifestyle and your own natural skincare collection. Where do I buy? Where can I find? What ingredient is best for my skin?... you’ll get to ask me all of your questions – I’m here for you! I can’t wait! Take a look at what we’re making! Here’s the link to the sign up page.